Edward J. McPherson, M.D., F.A.C.S. Dr. Edward James McPherson is the Director of Orthopedic Surgery at the L.A. Orthopedic Institute in Los Angeles, California . 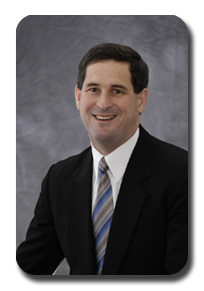 He is board certified in orthopedic surgery and specializes in total knee replacement surgery and total hip replacement surgery using the minimally invasive technique. He has published numerous articles on his specialty interests and has authored chapters on periprosthetic total knee infection and adult reconstruction in medical textbooks. He has also co-authored book chapters on hydroxyapatite coatings in orthopaedic surgery and cemented total knee replacement. Dr. McPherson is also very active in research. He has served as either principal investigator or co-investigator in 19 studies, several of which are still in progress. Dr. McPherson is also a clinical investigator for the ceramic-on-ceramic acetabular system, which is an FDA investigational device. He has been an invited lecturer to national and international medical conferences and symposia, speaking on his specialty interests. He is also one of the designers of the Vanguard Knee System and the Medallion Revision Hip System. Dr. McPherson is a member of The American Academy of Orthopaedic Surgeons, The American College of Surgeons, The Musculoskeletal Infection Society, The Societe Internationale Chirgue and Orthopaedic Traumatologie (SICOT), The Charleston County Medical Society, and The Association of Military Surgeons of the United States.